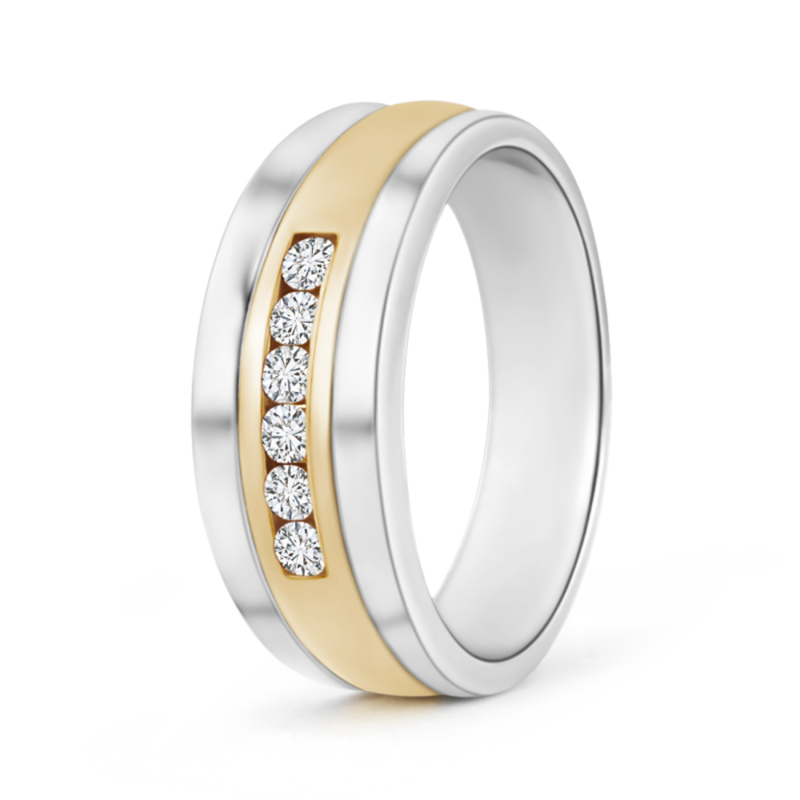 This wedding band ring for men features a polished twotone look. It is enhanced with lab grown diamonds adorned at the center of the ring. The shimmering diamonds are secured in a stylish channel setting.